The drama starts when people are unhappy and they become discouraged thinking they may never be happy in the environment in which they find themselves. 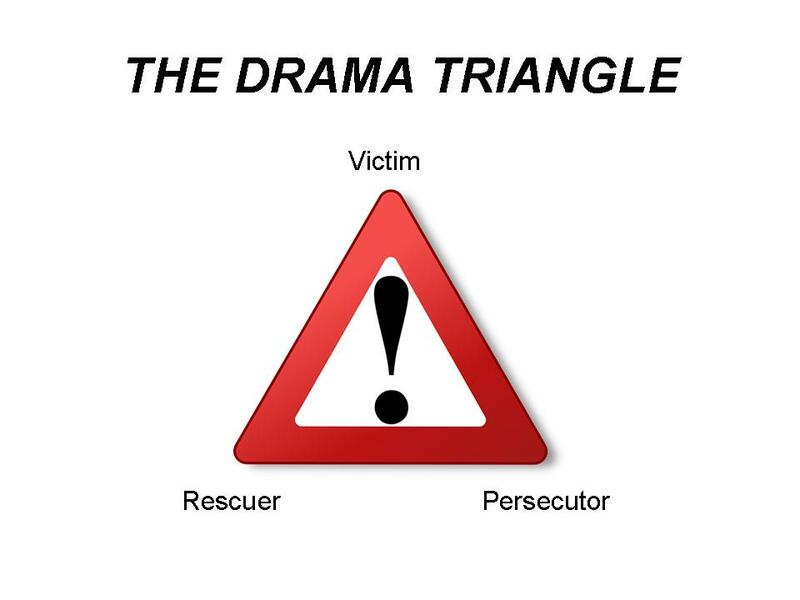 The three positions on the triangle are Victim, Persecutor, and Rescuer, and it’s important to remember that they are always subject to a rapid switching of roles that looks a lot like the “musical chairs” game you may have played as a child. For example, while I’m sure this could never happen in your organization, perhaps you tend to be a perfectionist who can be overly demanding, and you are overly harsh with a valued employee. If you had a history of this kind of behavior, she might begin to see herself as a Victim who is stuck in a bad situation which she doesn’t have the power to change (even though you and I know better, right?). She starts to think of you as a Persecutor whose main focus in life is making her miserable. Then one day, another employee tells her about a comparable job with your fiercest competitor. Tired of being persecuted, she quits in a huff and goes to work for them, does a great job, and takes away a significant portion of your market share. Now your former employee has become the Persecutor, your other employee has become the Rescuer, and (yes, you guessed it) you have become the Victim. Hire people who are happy and assertive. Create an organizational culture of high-performance where people can be happy and successful consistently. If you see a lot of “drama” around your organization, determine the causes (it couldn’t be you, could it?) and correct them ASAP so everyone can get back to having fun and making money. Family, Business, or Family Business?